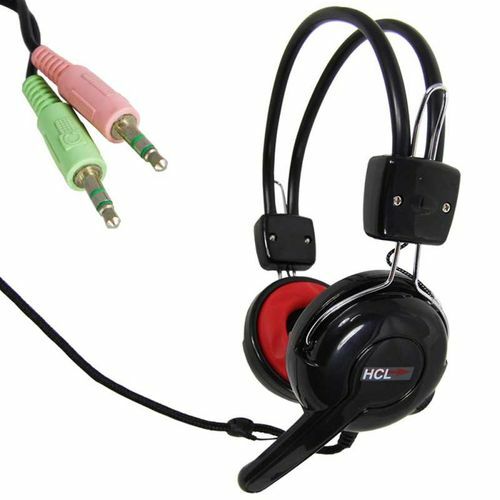 Extremely robust (virtually unbreakable) headphones with inbuilt microphone. 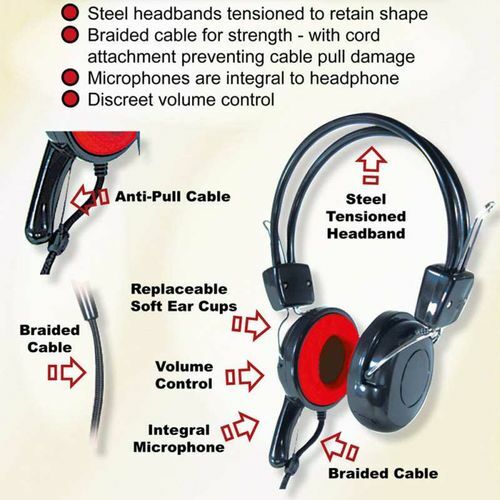 The ultra durable design includes a steel tensioned headband that can be twisted and bent right back on itself. With a short, fixed microphone cannot be removed so isnt a distraction. The 2m braided cable helps to prevent it getting damaged from usual classroom use. The strain relief helps to protect the mechanism inside the earpiece from damage when pulled. Discrete volume control on the back of the left earpiece, which isnt easily fiddled with, but allows the user to adjust to a comfortable volume. The red silicone ear pads are hard to remove but are designed to come off to be washed, they simply slot back in . With 2x 3.5mm jack plugs for use with PC or laptops. We also stock a tablet or chromebook version. Ideal for use in IT suites, computer and foreign language labs, classroom or offices.